Our estate-grown hops are cultivated in the world-renowned terroir of the Yakima Valley and are sought out by US craft brewers. Why? Because they can taste the difference. Check out the hop varieties that Segal Ranch grows with descriptions courtesy of our craft brewing partners. Just click the hop variety name and savor the poetry. Herbaceous, Grapefruit Peel, Pungent Orange/Orange Oil, Piney/Myrcene, Mild Grassy, Resinous. Oh, I forgot one; They’re F*&^n' Good Hops! Cashmere brings notes of Melon and Guava to a glass of beer. The Segal Centennial hop is a medium size light green, compact cone with bright yellow to medium dark yellow lupulin. Aromas are of bright pine needles and pine sap with pungent woodsy, grassy, and floral notes. This hop can also display hints of ripe orange that will translate to citrus flavors in a brew and will comingle with the woodsy pine, earthy, and grassy characteristics. While the alpha acids are medium-high and many brewers use Centennial to bitter their IPAs, it can also be used as a late kettle addition and in the dry hop for more pronounced pine characteristics. Segal Ranch Cluster hops provide a clean bitterness with a strong pungent aroma, offering hints of peppermint, lemongrass and pineapple sage. Comets have wonderful Lemon aromas and flavors. For us, Fuggle is the classic “hoppy” hop. Although mild, the soft wood/herbal flavors are well paired with floral notes. Fuggle is more woodsy than woody with light flavor notes reminiscent of spruce tea on a relaxed camping trip to the north woods. In many ways, Fuggle is defined by what it doesn’t have. If you are looking for tropical fruit, lemon pledge, citrus, maraschino cherry, onion/garlic, mango or weed aromas this isn’t your hop. Suffice to say that if you are looking for high CPU’s (Cat Piss Units) the “noble hop of England” ain't your date. Anchor has been brewing with Northern Brewer hops since the 60’s. 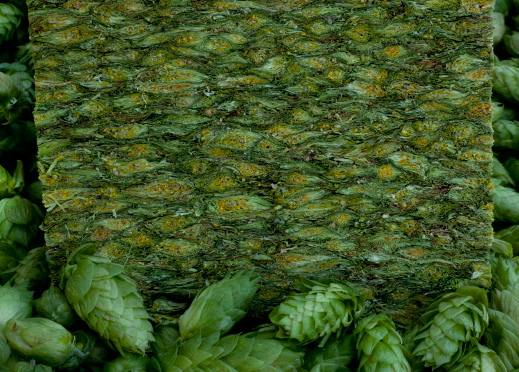 Chosen for its noble character, its earthy minty flavor and aroma define a truly classic hop. The Segal Ranch has grown a fine example since those early days. Nugget has a clean, yet pungent aroma, with subtle hints of citrus and pine resin. We think it is an exceptional bittering hop, as the bitterness it provides at very high levels is quite clean, without any harsh notes. The dank green aromas of this hop are the first thing to invade the room when it enters. However this hop has so much more to offer than a typical high alpha work horse. Upon closer inspection the subtle, but ever present aromas of citrus fruit poke through the funk and present themselves, and although subtle, they create a depth of aroma and with it versatility. The Segal Ranch nurtures these sensitive beauties under the hot Grandview sun to a succulent ripeness. These Willamettes are not mild, but provide a deep and pleasant earthy oiliness with undertones of exotic spice and oak. Segal Willamettes provide our beers with a deep prominent hop flavor footprint that particularly suits our dark beers. Our experimental 7272 is in testing.